Even though millennials have had the least amount of time to rack up debt, they are filing for insolvency faster than any other age group. Research from Hoyes, Michalos & Associates shows 37 per cent of insolvencies in Ontario were filed by millennials in 2018, up from 35 per cent the year before. Millennial debtors owe $35,733 in unsecured debt. That’s less than any other cohort, but young people face their own set of challenges. 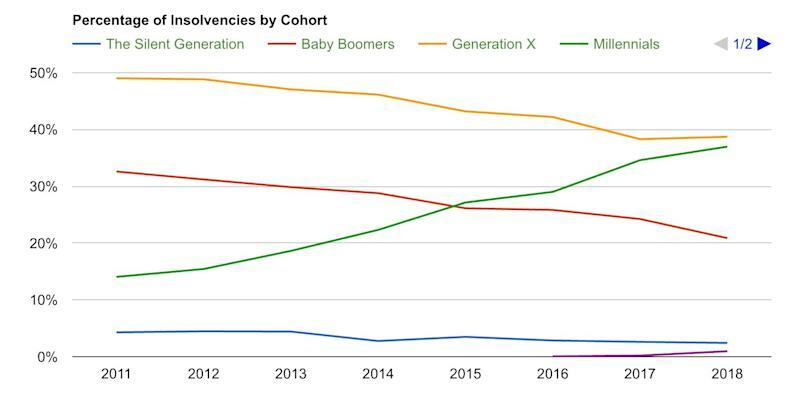 “Millennials are graduating with much more student debt than previous generations and this is certainly a contributing factor,” said Doug Hoyes, licensed insolvency trustee and co-founder of Hoyes, Michalos, in a news release. More than 31 per cent carry student debt, up from 26 per cent in the previous year. The average unpaid student loan balance is up 4.2 per cent to $14,311. There’s an even more troubling trend emerging. 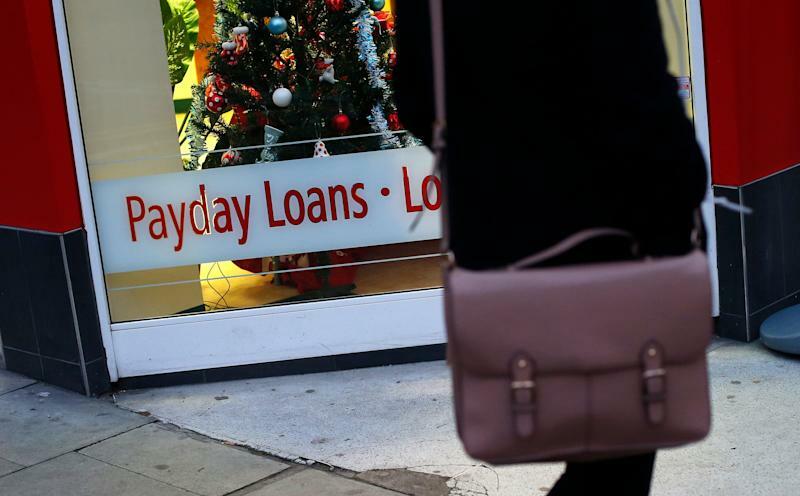 “What alarms me most is the fact that almost half of millennial debtors we see use payday loans,” said Ted Michalos, licensed insolvency trustee and co-founder of Hoyes, Michalos, in a news release. Nearly half (46 per cent) of millennial debtors had at least one payday-style loan, up from 40 per cent in 2017. The average amount owed is $4,792, or almost two times their average monthly net-income. Hoyes says millennials tend to take on more debt through credit cards and lines of credit as they get older. The average credit card balance increased by 6.9 per cent to $11,716. Personal loans increased to 3.8 per cent to $14,370.